Meringues are pretty much a health food. Can we please agree on this? Well…they are better than a triple-chocolate-caramel-oreo-cookie-dough-brownie-milkshake, right? I think they are the perfect treat. Not too heavy, just a touch of sweetness to satisfy that craving. And they are perfect for the holidays for that very reason! The perfect bite after a heavy meal. 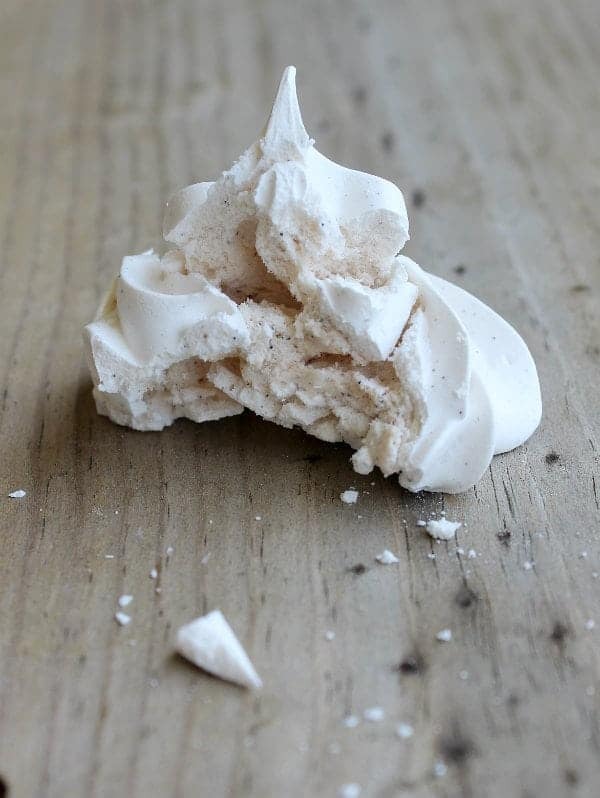 These meringues combine one of my favorite ingredients, vanilla beans, with spicy cinnamon. Again–in my own humble opinion, perfect for the holidays! 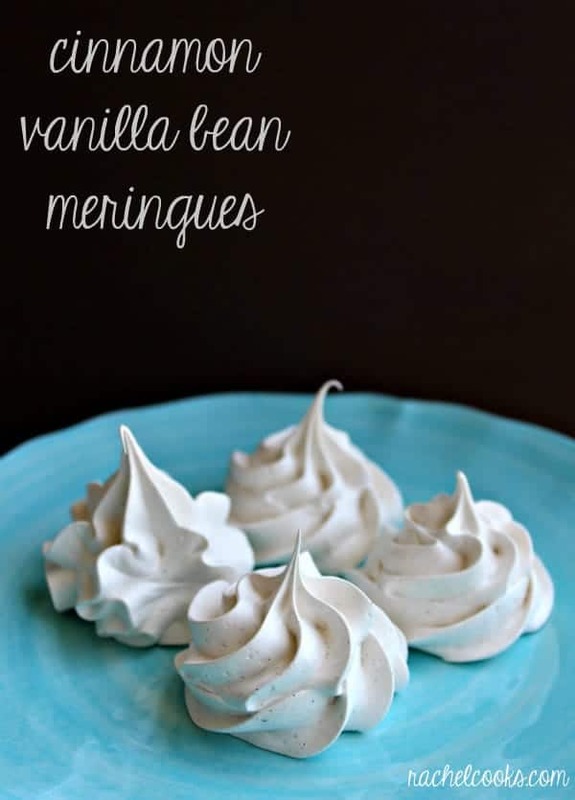 Meringues with a hint of cinnamon and flecks of real vanilla bean. Preheat oven to 200 degrees F. Combine egg whites, sugar and vanilla bean seeds in a heat-proof bowl (I used the metal bowl of my stand mixer). Set bowl over a pot of simmering water and stir until sugar dissolves and mixture is warm (not hot), about three minutes. Add salt, cream of tartar and cinnamon. Beat with a mixer on medium-high speed until stiff, glossy peaks form and meringue is mostly cool. This will take 5-7 minutes depending on your mixer. Fill a pastry bag (fitted with your tip of choice–or you can just cut the end off after filling) with the meringue. Pipe meringues into circular shapes about 1 3/4- to 2-inches in diameter on 2 parchment paper-lined baking sheets. 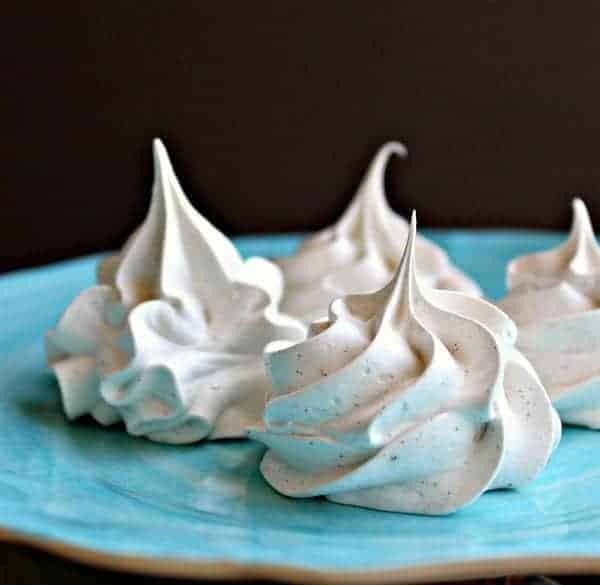 Bake the meringues until crisp on the outside and still slightly soft on the inside, about 1 hour and 15 minutes. Cool completely on a wire rack. Verdict: These are so delicious. 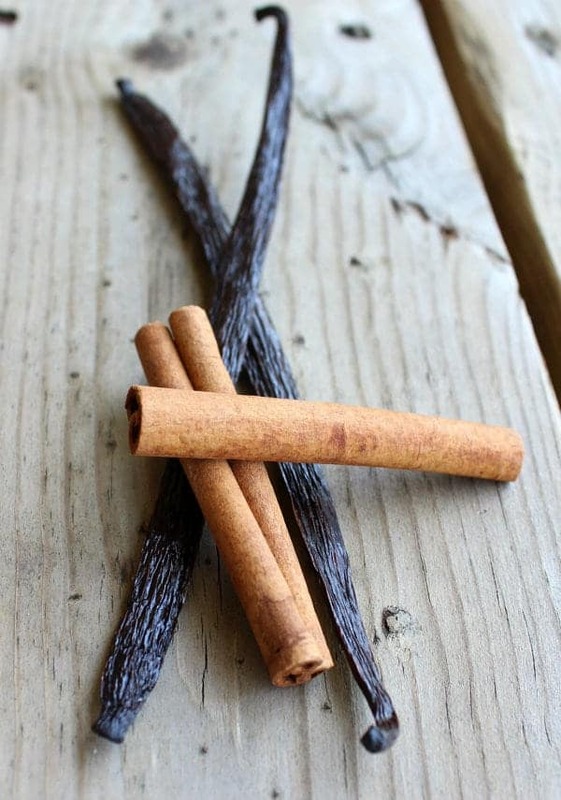 The vanilla and cinnamon are subtle yet very much there. I think this is such a classy holiday dessert. Pretty and light! Husband’s take: Loved these! He’s really not all that picky. Now…I’m off to go create that triple-chocolate-caramel-oreo-cookie-dough-brownie-milkshake.